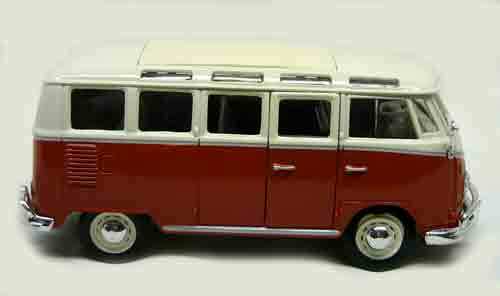 Our Volkswagen Van Samba is a 1:25th Scale by Maisto. 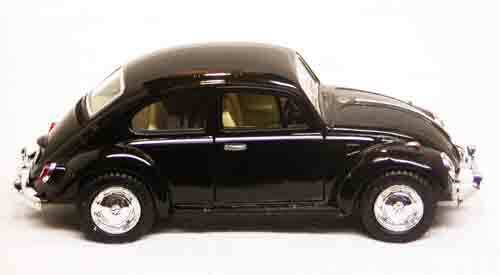 This classic oldie is a must for all you VW collectors. The side door opens to a detailed gray interior with bench seats and cream colored dash board. This VW Bus has stock chrome wheels and black wall tires. The front suspension turns the wheels from left to right. = 7"Long x 2.5" Wide x 3" High.